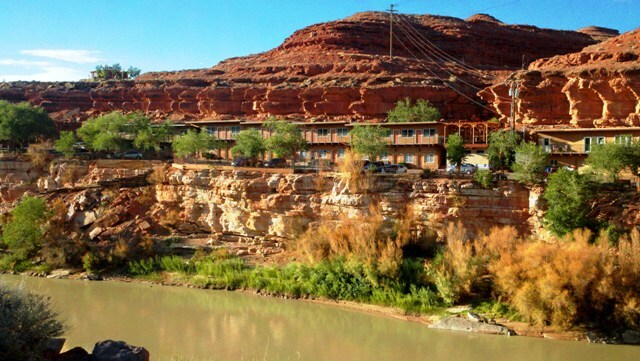 The motel itself is neatly nestled in between the the San Juan River and an amazing backdrop of red rock cliffs. From the motel you’ll enjoy a view of the Dragon’s tooth, the first turn of the Goosenecks, the San Juan River and Highway 163 Bridge. These four just barely scratch the surface, you could spend months in Mexican Hat and never explore all that it has to offer.